Photo by Riah Roe. 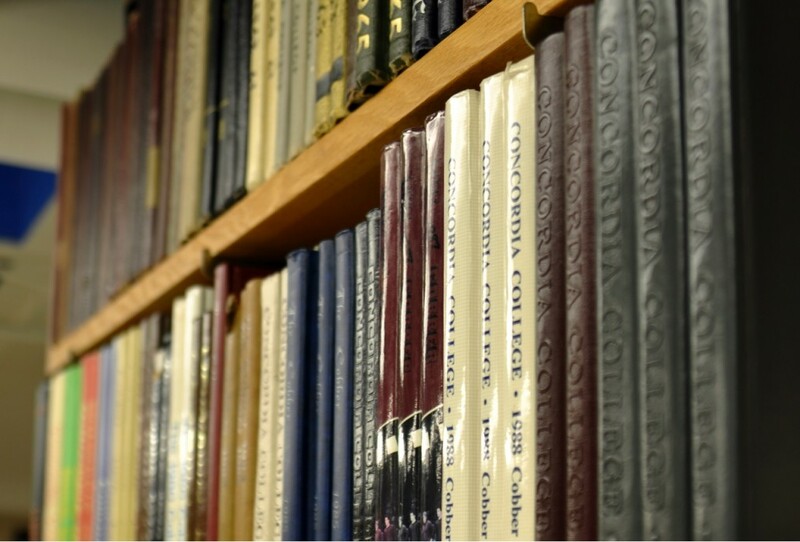 Years of "The Cobber" line the bookshelves in the yearbook office. 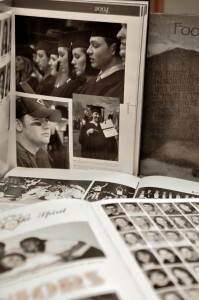 Despite efforts to bring the yearbook back to campus, the Concordia community will go another year without one. Searle Swedlund, associate director of alumni relations, sits in his office amongst a history of nearly 100 years of student life. 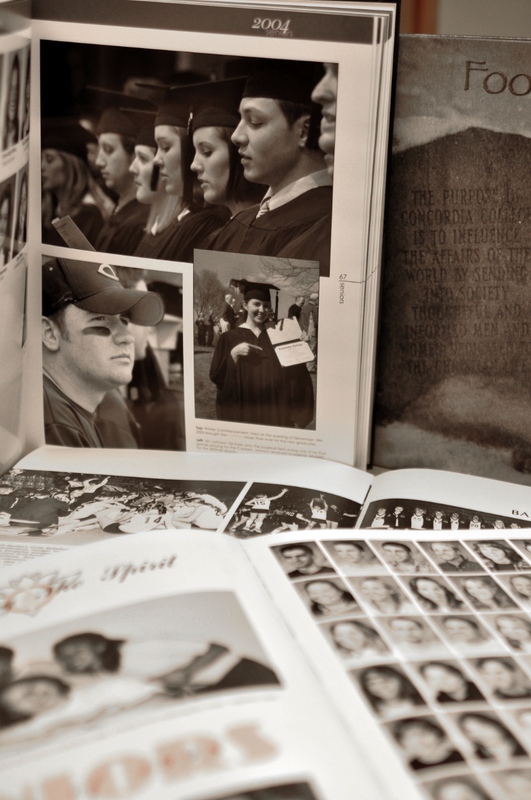 Dozens of Concordia College yearbooks sit in memory of moments past; for him, they bring back old emotions and evoke new pain. The document, once made by teams of committed students, has been losing support. In 2008, Student Government Association stopped paying for it, citing the dozens in piles that are left behind. Now, after three years, a recent attempt to publish again is failing. Swedlund, with Lisa Sjoberg, the college archivist, and Katie Rotvold, a senior, met this summer to remake the framework of a student organization that could revive the yearbook this spring. So far, they have advertised for leaders and designers through flyers and the internet. They stood at Cobber Expo and held an interest meeting in the middle of September. Numbers were low. In January, SGA distributed an online survey that asked students if they wanted to own “The Cobber.” Of the 1046 who replied, 806 were interested. About 100, Swedlund said, even said they might design. But few were willing or able to invest enough time. The college has set up the logistics of future publication by offering the use of computers should anyone come forward. They have also looked at firms that can offer low prices. With the structure in place, however, Swedlund said they can only rely on the student body. Tyler Dugger, SGA president, said he has never spoken to a student with love for the yearbook, citing the number of them that are left behind. With little demand, he said, it’s a document that the college doesn’t need. Swedlund said he remembers the “spirit” of his own Concordia life through the book of 1998. He spoke about the “roller coaster ride” of his own emotions for reliving those events so close to him. That’s not a quality he saw in it when he was a student, he said. That’s something that comes years after graduation. Dugger said he does not deny the importance of a memory book in times past, just that he does not see the value of it in a digital age. With social websites and digital photography, he said, times have changed.